After BlackBerry had reached its long-term brand licensing deal with TCL last month, the Chinese firm teased its first true BlackBerry handset, codenamed Mercury, at CES 2017. There weren’t many details revealed at the time, but we now know the date of its official unveiling: February 25, the eve of Mobile World Congress. 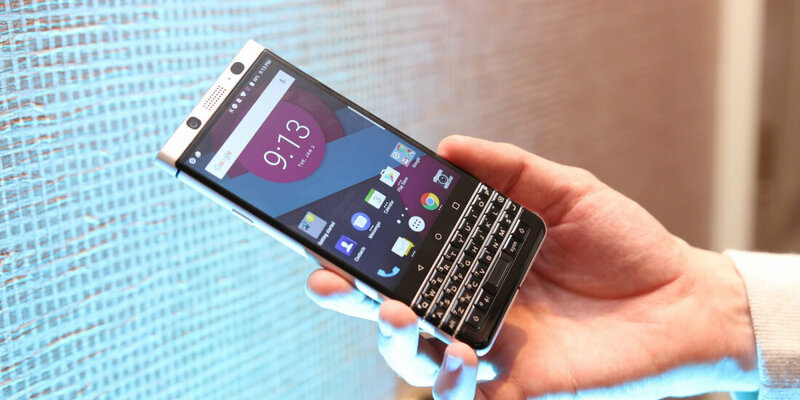 BlackBerry Mobile sent out a tweet yesterday confirming the date, complete with a GIF of the handset showing the distinctive QWERTY physical keyboard that the brand is known for – though this was absent from the TCL-manufactured DTEK50 and DTEK60, which were modified and rebranded versions of the company's own Alcatel phones. Information on the Mercury remains thin on the ground. It will run Android 7.0 Nougat, features a USB Type-C port, and has a fingerprint sensor built into the space bar - much like the BlackBerry Passport. Additionally, the touch-enabled keyboard lets you perform functions such as swiping to scroll and flick to type. The Mercury’s other specifications are all rumors: a 2.02GHz Snapdragon 625 processor, 3GB of RAM, 32GB internal storage, a 4.5-inch display (due to the size of the keyboard), a 1080p resolution, a 3,400 mAh battery, and an 18MP rear camera along with an 8MP front-facing shooter. It seems TCL is aiming for the mid-range market with this one. As with other BlackBerry phones, the Mercury is aimed primarily at enterprise customers, and as such it comes with extra security features. The handset will ship with business software created by BlackBerry the company, which has now moved away from the hardware side of things. Exactly how much the Mercury will cost remains a mystery, though Engadget believes it will be close to the DTEK50’s $300 price. We’ll find out more at Barcelona.